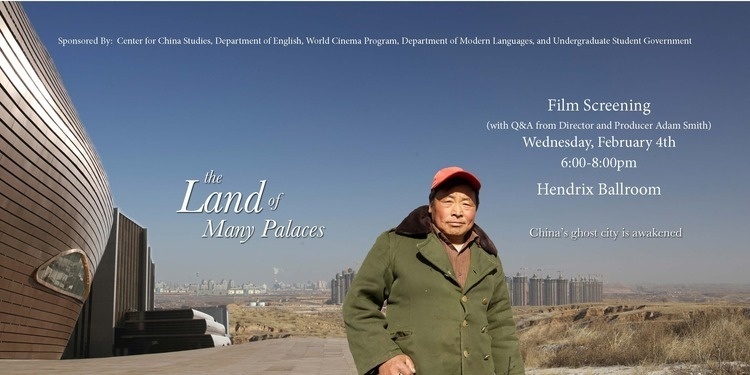 Documentary Film Screening: "The Land of Many Palaces"
The Director/Producer, Adam Smith, will join us for a Q&A. The film is about the development of a new city in Ordos, Inner Mongolia in China, where farmers are currently being relocated. Exploring China’s ambitious urbanization drive, the film has been reviewed by such newspapers as the Guardian and WSJ, and it is scheduled to screen at Harvard and Asia Society, among other places.